Today is my father’s birthday. He’s no longer here to celebrate it, but each year on this day, I still say a prayer and send him a wish. It’s quiet, and it’s ours. 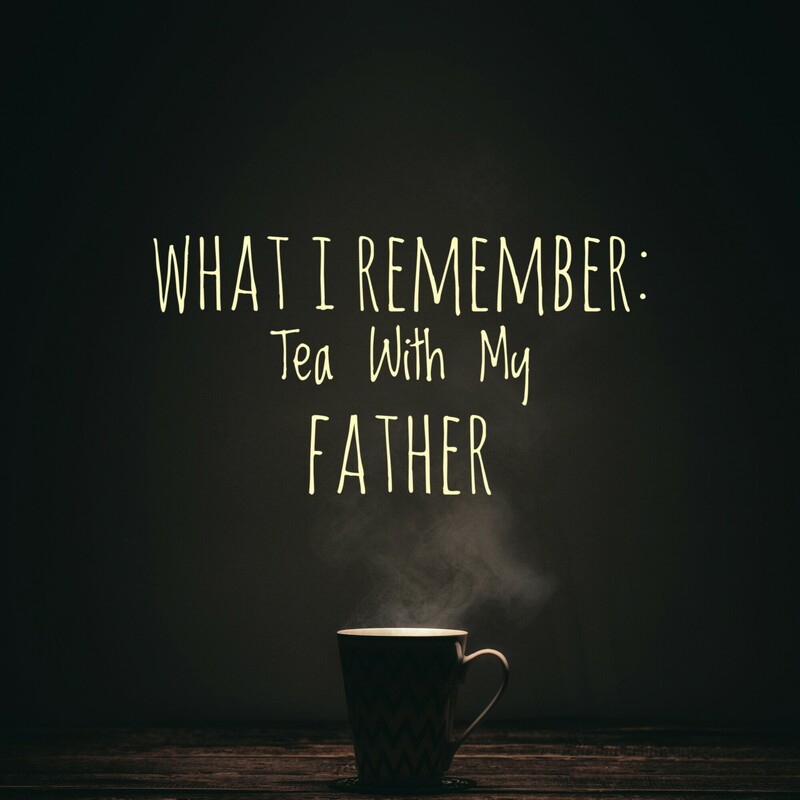 When I was in junior high and high school, my father and I would get up early in the morning, before either of us had to leave for the day, and we’d drink Irish Breakfast tea in the quiet kitchen. Living in the PNW meant waking up to complete darkness and rain streaking the windows. Tea was a perfect accessory to strengthen our resolve to leave the house. It was a calming ritual that made even the worst days a little easier to deal with. That short amount of time was always a wonderful experience, especially considering neither my father nor I were morning people. The pang of my father’s absence still lingers in my heart; sometimes more poignant than others. This morning was one of those moments where sweet memories I hadn’t thought of in years flooded my heart. I found it fitting that they came to me while spending time with my Heavenly Father, and drinking my morning cup of Irish Breakfast tea. Though my father is no longer physically with me, and we haven’t shared the early morning silence of a rain-soaked morning since I graduated from high school, those moments led to the moment I had this morning. Everything we experience in life leaves a mark on us, whether good or bad. These experiences with my father leave me with the desire to make similar memories with my children. Remember today to embrace the good moments, even amid the chaos and pain of living life in this fallen world. God doesn’t promise it will be easy, but He does promise it will be worth it. I’m so glad you have those memories with your dad too. Thank you for sharing with me. God Bless!